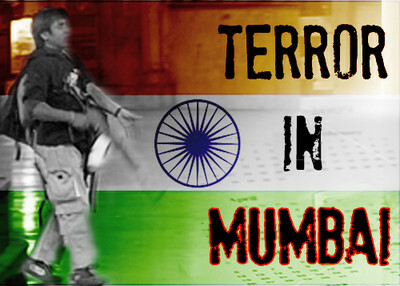 CHICAGO – The terrorists responsible for the 2008 attack on Mumbai had plans for additional strikes against Indian military targets and against Jews, a former operative testified Tuesday. David Headley's testimony focused on details in the Mumbai attacks, which killed 166 people, including six Americans. Headley is a key witness against a Chicago businessman charged with aiding the plot. Tahawuur Rana allowed his immigration company's Mumbai office to serve as Headley's cover to scout targets for the attacks for Lashkar-e-Tayyiba. Rana knew about the plot and supported it, Headley said. He has testified that members of Pakistan's powerful intelligence services, the ISI, also helped plot and finance the attacks. Months later, Headley said he was asked to conduct surveillance on India's National Defense College and Chabad houses in India. A Chabad house, a Jewish community center, was part of the Mumbai assault, where six people were killed. His handlers told him the Chabad houses were suspected Mossad fronts and that the attacks would serve as vengeance for Israel's incursion into Gaza in late 2008. At least one of those handlers, Ilyas Kashmiri, also is an al-Qaida operative. When Lashkar officials backed off a subsequent plot to attack a Danish newspaper, Kashmiri encouraged Headley to make it an al-Qaida operation. India's National Defense College is a premier defense academy frequented by high-ranking military officials, including those of the brigadier rank. Headley testified he told Rana about the new targets and Rana "thought it would be a big deal." Headley did what he was told, scouting the defense college and three Chabad houses. The defense school "was a very easy-to-access facility," he said. Before the Mumbai attacks, Headley visited a Lashkar training facility in Muzaffarabad, the capital of Azad Kashmir ("Free Kashmir") in Pakistan. He saw men training for the Mumbai attacks with senior Lashkar operatives, including head of the terrorist group's military wing, Zaki-ur-Rehman Lakhvi, and explosives expert Abu Qahafa, Headley said. He also described the "stronghold option" suggested by Lashkar operatives planning the attacks. The option involved militants to fight to death instead of trying to escape from Mumbai. "Fighters would not be able to fight well if they knew they had to leave," Headley said Abu Qahafa told him. Headley said he was "pleased" when he heard the Mumbai attacks were successful. "Personally I was even with the Indians," he told the jury. Headley testified Rana told him, "They [India] deserved it." The November strike was actually the second attempt to attack the city, Headley said. An attempt in September 2008 was aborted after a boat carrying the terrorists hit some rocks just a short distance away from the Pakistani coast. Even before the attack was completed, Headley and his handlers had their sights on a subsequent attack in Europe. They wanted to wage on assault on Jyllands-Posten, the newspaper whose 2005 publication of cartoons depicting the prophet Muhammad unleashed a wave of violent protests across the Muslim world. In October 2008, Headley, Lashkar operative Saajid Mir, and a Pakistani intelligence official identified as Major Iqbal discussed attacking the newspaper's offices and killing an editor and a cartoonist. Headley and Mir disagreed over whether to focus on just the two employees or include more people in the attacks. Mir justified including more people in the attacks, saying, "All Danes are responsible for this," Headley testified. Headley traveled to Denmark in January 2009 to conduct surveillance of Jyllands-Posten offices in Copenhagen and Arhus. He identified himself as an immigration consultant and used Rana's business as a cover for his operations. Headley said he informed Rana about the operation. Rana said it was "good" and that "discussion on this matter had been long overdue." Headley even went inside the newspaper offices on the pretext of buying an ad for his immigration business. In a January 2009 e-mail, Headley described his visit to Rana. "Our company has a really bright future here," he wrote. That was code, he testified, meaning that "Lashkar would be able to conduct a successful operation in Denmark." Headley met with Kashmiri the next month in Pakistan's North Waziristan district. Headley described Kashmiri as a top al-Qaida commander who had spent a lot of time in India and had ties to the ISI. The meeting was facilitated by Abdur Rehman Hashim Syed (also known as "Pasha"), a retired major in the Pakistani military and another co-defendant in the case. Kashmiri congratulated Headley on the Mumbai attacks. He also described the cartoons as "disgraceful" and "humiliating." He said the Denmark operation was "very important" and that the "attack should be carried out as soon as possible." Kashmiri reviewed the surveillance videos Headley made and suggested using a truck bomb for the operation. Headley rejected the idea of a truck bomb. "[Vehicle] blocks on the road would not permit that," he said. Kashmiri promised to provide manpower, including getting an associate in England to help out with the operation. As the plan took shape, Lashkar started to back out of the Denmark operation due to heightened scrutiny following the Mumbai attacks. Several Lashkar members had been arrested in Pakistan and the attacks were getting a lot of attention in the media. Pasha told Headley to leave Lashkar and join al-Qaida. The jihad Lashkar was conducting was "ISI jihad," Pasha said. He suggested conducting the Denmark attacks without Lashkar. In May 2009, Headley met again with Kashmiri to discuss the Denmark operation. Kashmiri asked Headley to make videos for operatives in England he planned to use for the attacks. Kashmiri suggested beheading the victims to get the Danish response forces to react quickly. "Throw the heads of the hostages out of the windows," Kashmiri said. "Shoot them first then behead them, so that there wouldn't be a struggle," he added. "The operation would not last as long as it did in Mumbai," Kashmiri predicted, adding Danish forces would not be as "timid" as their Indian counterparts. Kashmiri also told Headley the operatives in England would arrange for the weapons, and gave Headley 80,000-85,000 Pakistani rupees (roughly $1,000).